With everything from a portrait of Lord Tracton to the Dennis silver tray which recounts in Victorian detail the sterling efforts of a magistrate in Wicklow to repress insubordination along the borders of Wicklow, Carlow and Kildare in 1822 the Fortgranite house contents sale by Fonsie Mealy next Tuesday offers much to tempt collectors. Among more than 850 lots are a Qing Dynasty cabinet, war medals from both World Wars, a Boer war letter from Winston Churchill and a Qing Dynasty cabinet. Fortgranite in Baltinglass, Co. Wicklow was the home of the Dennis family for three centuries. They were originally Swifts, related to Jonathan Swift, Dean of St. Patrick’s, satirist and creator of Gulliver’s Travels, who changed their name to inherit an estate at Tracton in Cork. This inheritance was highlighted on these pages last Saturday through lot 428, letters patent on vellum from King George III granting the title Baron Tracton to James Dennis, son of a timber merchant of Kinsale, who died childless in 1782.The lavishly decorated Dennis silver tray, made in Dublin in 1822, was presented by local bigwigs to Thomas Stratford Dennis: ” …. for his conspicuous Zeal and active intrepidity as a Magistrate of their County And for his successful exertions in repressing the spirit of insubordination and contempt for the Laws which prevailed along the borders of the Counties of Wicklow Carlow and Kildare in the year 1822″. 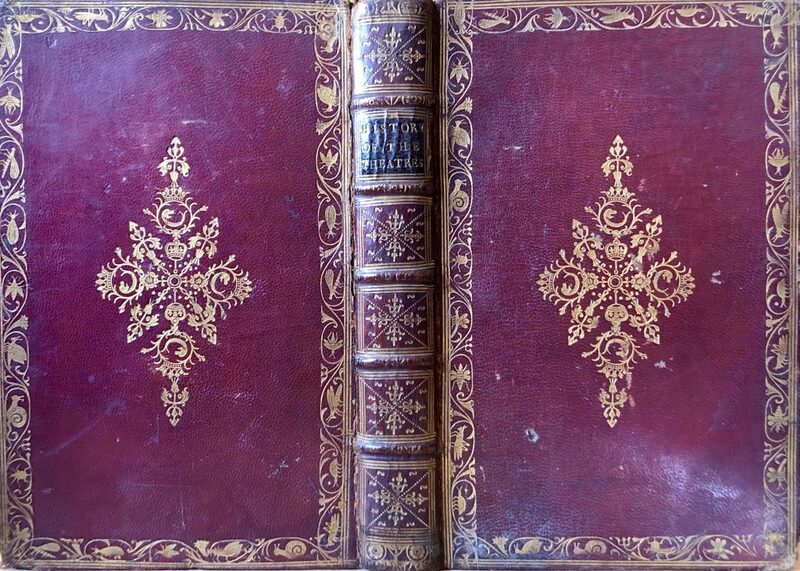 That year marked an ongoing economic slump following the end of the Napoleonic Wars, a disastrous potato crop failure and agrarian unrest.Lot 358 is a tooled gilt binding published in London in 1741 and estimated at 1,000-1,500. By Lewis Riccoboni it is an historical account of the Italian, Spanish, French, English, Dutch, Flemish and German theatres. The carved hardwood Qing Dynasty cabinet, purchased in Hong Kong, is estimated at 2,000-3,000. A portrait of Esther Johnson in the style of James Latham is estimated at 7,000-10,000. She was Dean Swift’s Stella and rumoured to have been his wife. UPDATE: The sale realised 660,000 on the hammer and was 95% sold. The top lot was an Irish George II hunt table which made 25,000 at hammer. This entry was posted on Sunday, April 14th, 2019 at 10:10 am	and is filed under ART, AUCTIONS, COLLECTIBLES, FURNITURE. You can follow any responses to this entry through the RSS 2.0 feed. You can leave a response, or trackback from your own site.